My part in this project began late October ’11. 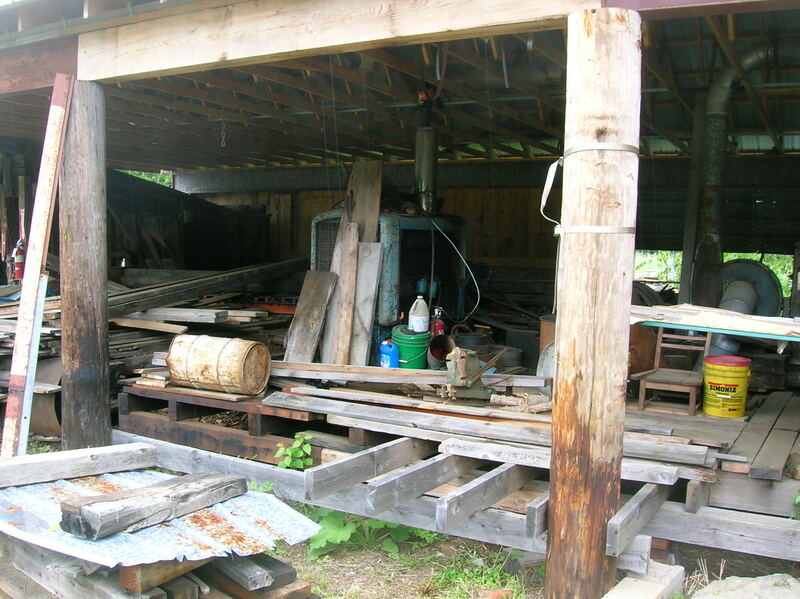 A local sawmill is gradually coming back to life. ‘Mostly a Lane’ right hand mill. From what I understand, the handedness is a reference to the side of the river on which the mill would be situated. 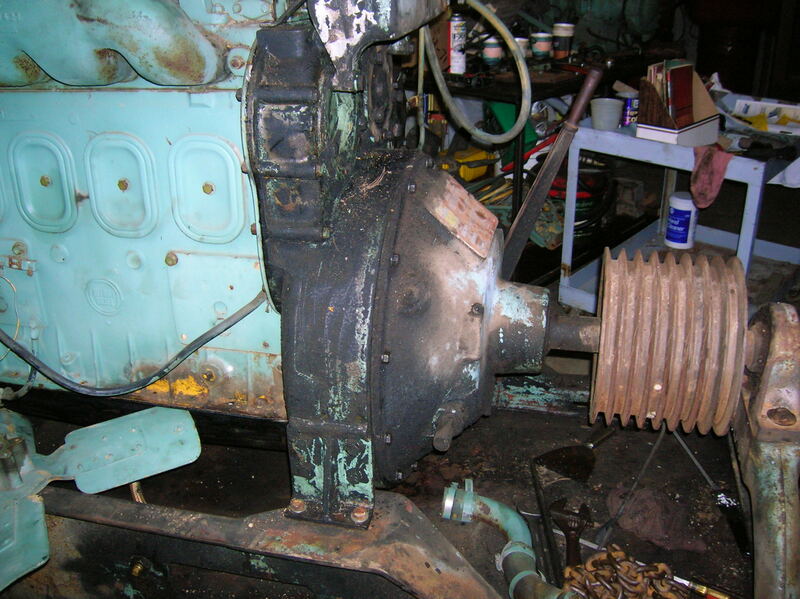 The mill draws power from a Detroit Diesel 4-71, rated @ roughly 100 hp. 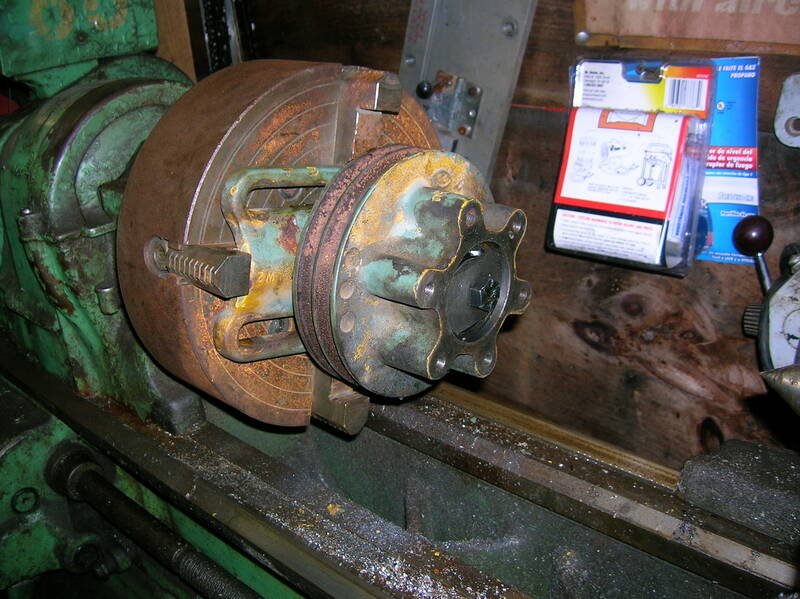 The present motor runs, but a newer spare has been taken out of mothballs. The spare was connected to a truck transmission, rather than a snap clutch, and there were a number of parts and pieces that needed to be changed around. This is the drive end. The hand lever engages the clutch, and the multiple v-belt drive. The dirty end came off yet another, worn out engine. 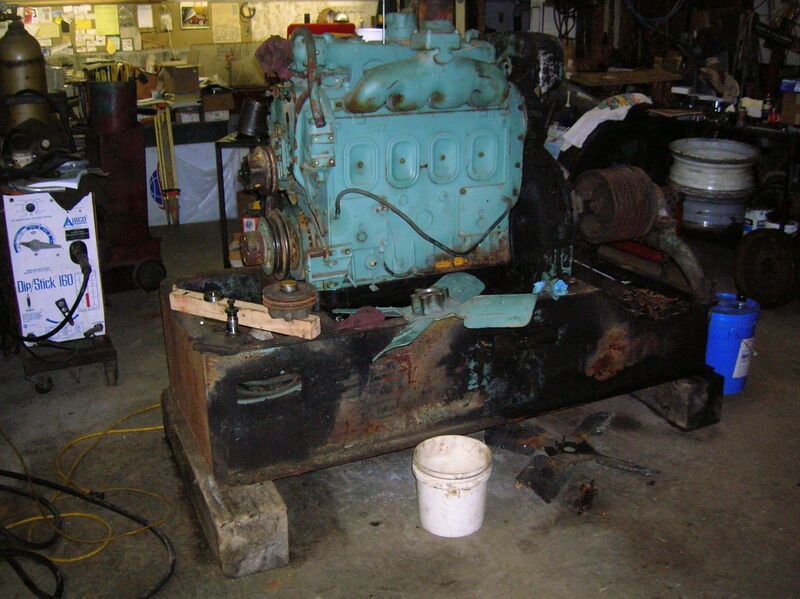 It is much larger than the end cover and flywheel that was previously attached to the clean half. This is the worn out organ donor. The cast oil pan is too tall for the installation on the motor frame. The smaller end plate has been loosely affixed to provide the second lifting point. 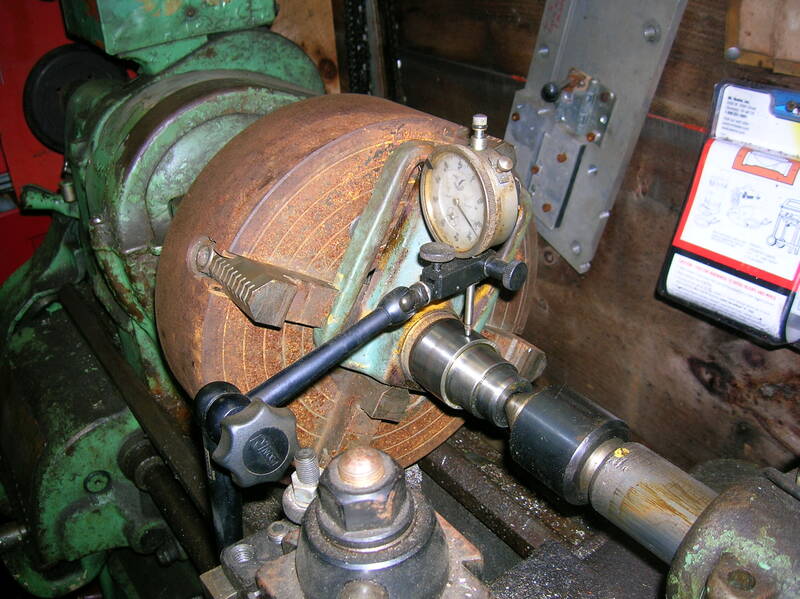 The 17×4″ flywheel weighs close to 100 lbs. The heavy stuff is moved around with the help of an overhead trolley crane. 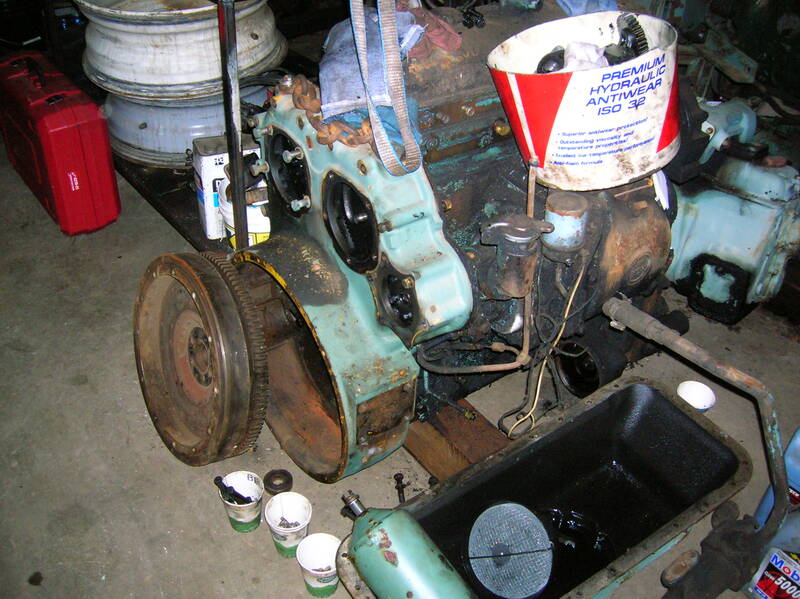 The engine sits on a ‘day tank’. As such, the power plant is more or less self contained. The idea is that you can fill the day tank with fuel at the start of a shift, and run it straight through until the next shift. 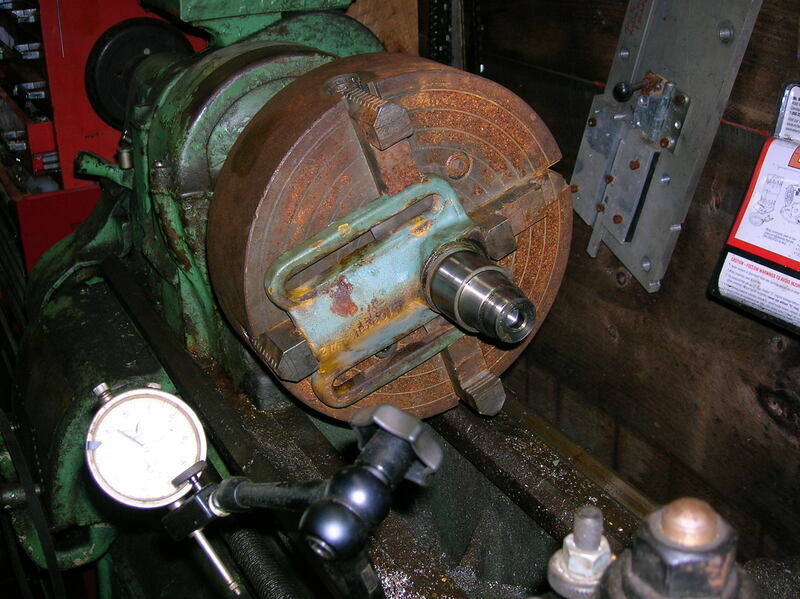 (If the blade isn’t making chips, your mill isn’t making money.) Of course, if the tank develops a leak, you have a very large and heavy problem. As this is run in close proximity to the sawblade, the top of the day tank is a great catch basin for chips and sawdust. Something of a fire hazard, especially when combined with diesel fuel and motor oil. So this tank will only serve as the base, empty of fuel. 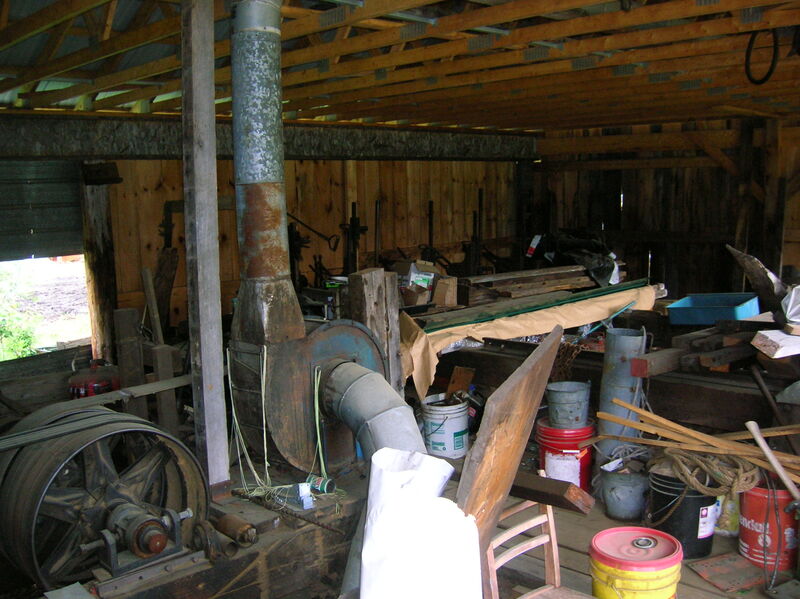 In the photo, I’m contemplating fan pulley alignment. For some reason, the drive and driven sheaves are out of line by 1/8″. 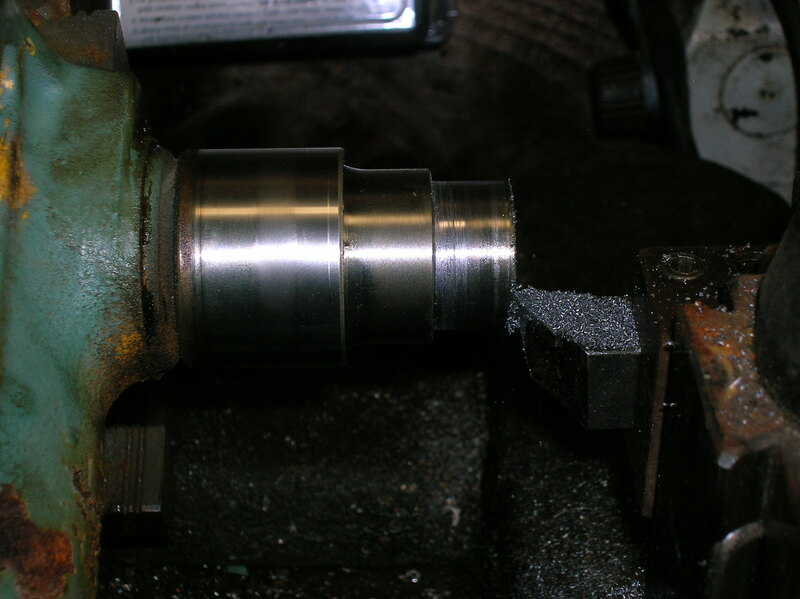 The outer bearing in the hub determines the offset, so the easiest thing to do is take a cut off the spindle shoulder. Centering the bracket on the South Bend 13. 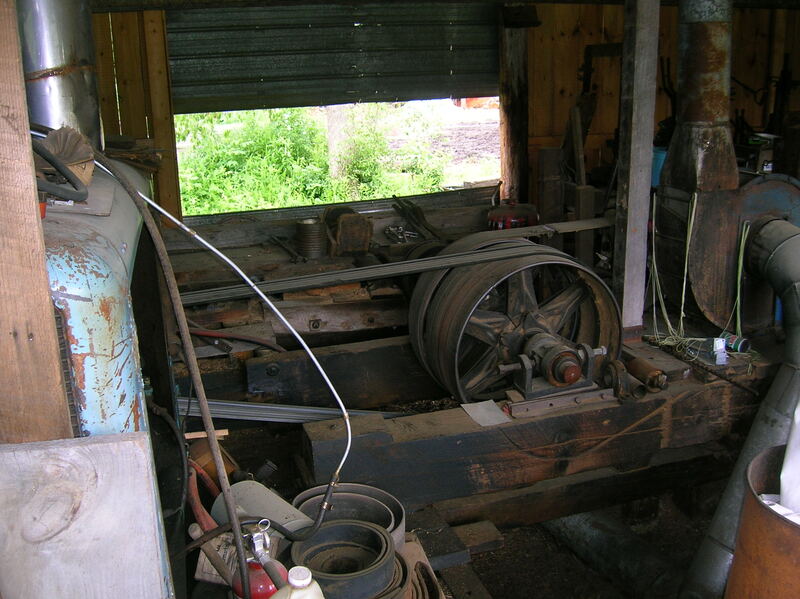 The 4 jaw is really too big for this lathe, but it was free…. The center step is now 1/8″ narrower. The tool is set up to reduce the length of the first step by the same amount by facing off. Test fit with bearing. 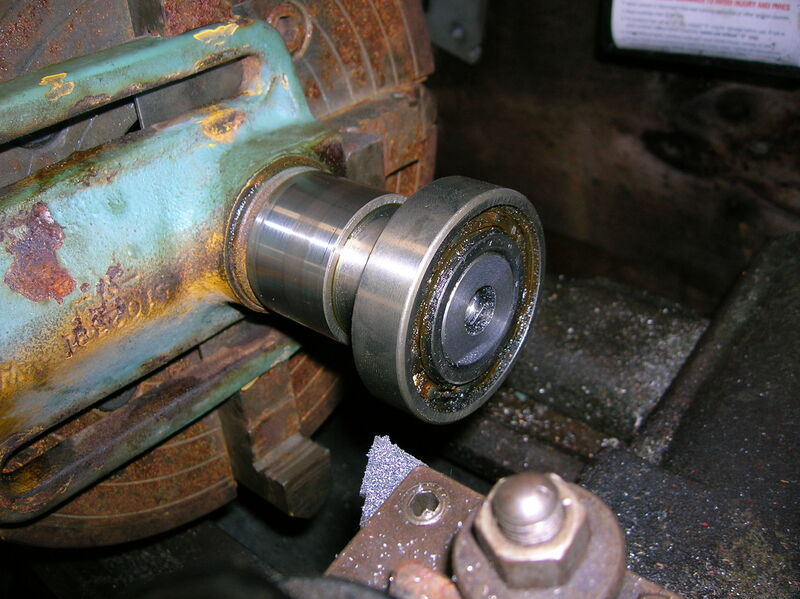 The spindle needs to be slightly recessed in the inner race. Checking to ensure the fixing bolt and washer don’t interfere with hub rotation. 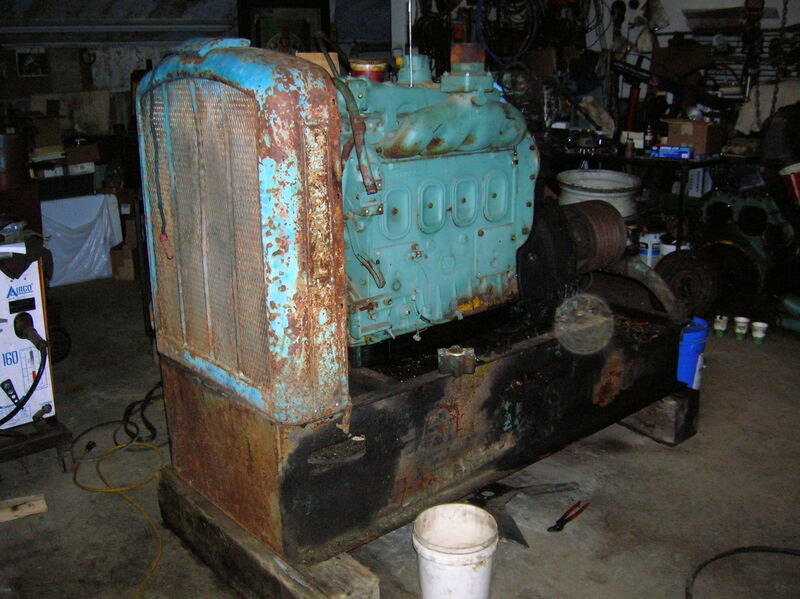 The Detroit Diesel is a relatively inexpensive, durable power plant with at least one notorious trait. If the throttle linkage sticks, or the governor fails, they make some interesting noise. (Fun starts @ 1:33). The other side of the tracks. 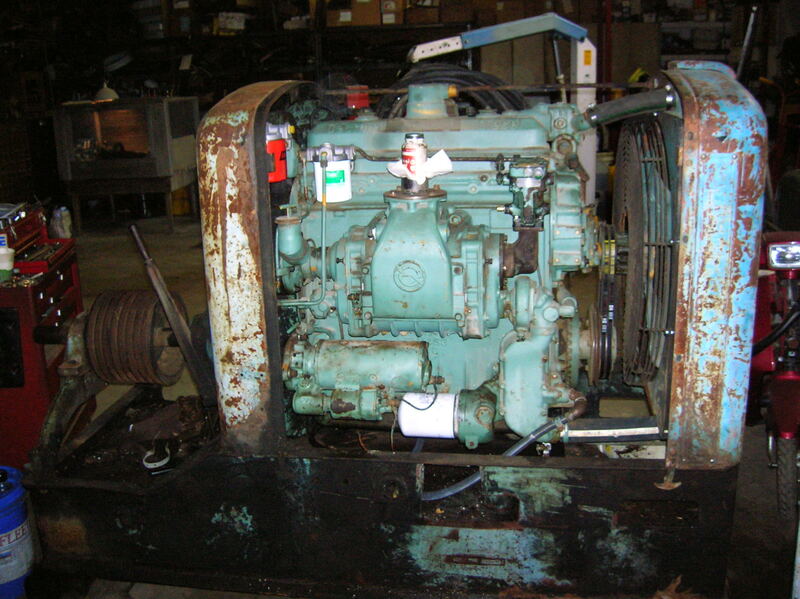 The cartridge filters to the upper left replace the traditional can-and-element configuration.